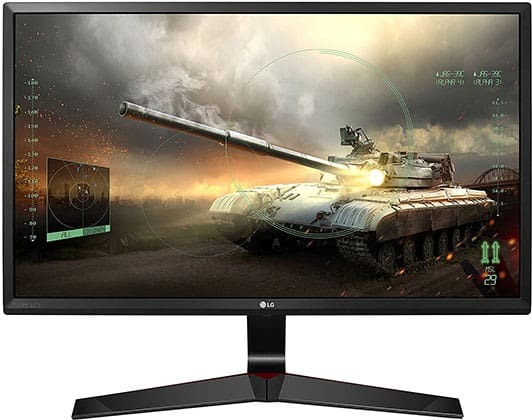 If you are looking for a budget IPS gaming monitor, you will hardly find anything better under $150 than the LG 24MP59G-P. Equipped with AMD FreeSync, 1ms Motion Blur Reduction, a 75Hz refresh rate, and many more gaming features, LG’s monitor delivers a smooth and responsive gameplay with a great image quality for an appealing price. 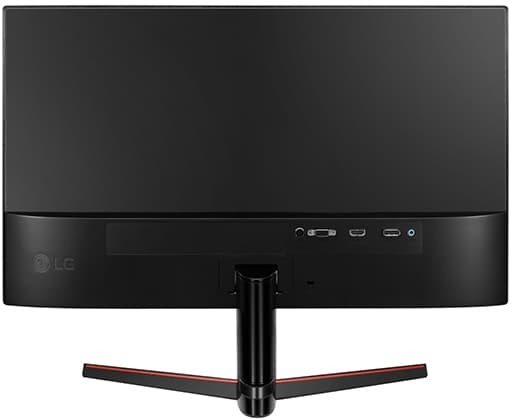 The IPS panel of the LG 24MP59G monitor offers wide 178-degree viewing angles and 8-bit color support via dithering (6-bit + FRC) covering over 99% sRGB color gamut. This ensures precise and vibrant colors while the Full HD resolution provides crisp and clear image quality. Although the 1920×1080 resolution has four times fewer pixels than the popular 4K Ultra HD, it’s still considered as the standard. More importantly, 1080p is not very demanding, so you will be able to enjoy higher picture settings and frame rates in video games. 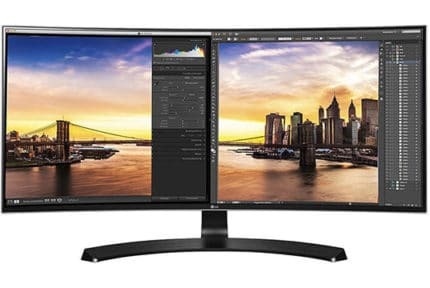 Other panel-related specs of the LG 24MP59G include a 1,000:1 contrast ratio, a 250-nit peak brightness, and a 5ms response time speed which is all standard for an IPS monitor at this price range and will result in a decent picture quality. We haven’t encountered any dead pixels on the monitor while backlight bleeding and IPS glow were only noticeable in extreme conditions, as expected. Enabling the 1ms Motion Blur Reduction technology in the OSD (On-Screen Display) menu turns on backlight strobing which increases the response time speed to 1ms in order to reduce ghosting and motion blur of fast-moving objects. As you can see in the image above, motion becomes more clear and less blurry which is perfect for fast-paced FPS games such as Overwatch and CS: GO. In other games and/or everyday use, you should disable this features as backlight strobing reduces the overall brightness of the screen and causes screen flickering. 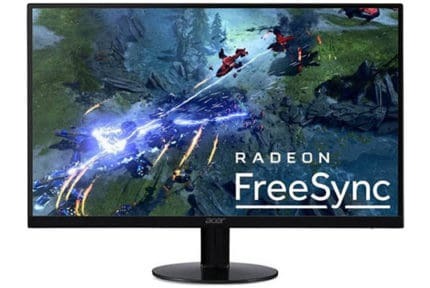 Alternatively, you can enable AMD FreeSync variable refresh rate technology which will eliminate screen tearing and stuttering as long as your FPS (Frames Per Second) rate is within the dynamic refresh rate range of 40-75Hz/FPS. FreeSync allows the monitor to change its refresh rate dynamically and in tune with the graphics card’s capability. In order to enable it, you will need a FreeSync-compatible GPU by AMD. The LG 24MP59G 1080p 75Hz monitor has more tricks up its sleeve that will come in handy for gaming. In OSD, you will find the ‘Cross Hair’ feature which places a customizable crosshair on the screen for better aim in FPS games. Next, ‘Black Stabilizer’ alters the gamma curvature to increase visibility in dark areas of games while ‘Dynamic Action Sync’ bypasses image processing to further reduce input lag. Finally, the monitor has pre-calibrated gaming picture presets, two for FPS, one for RTS, and one customizable profile. 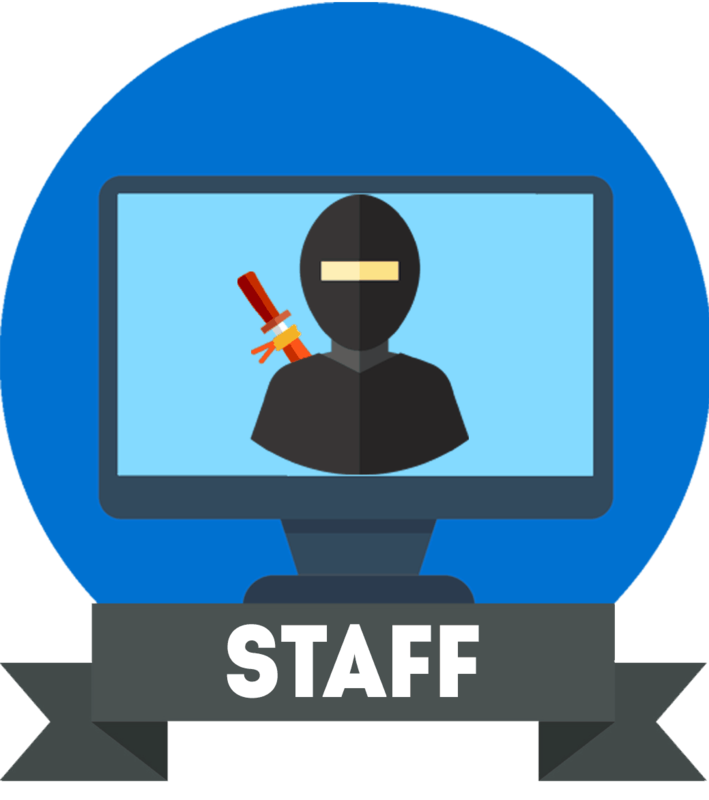 Other nifty features include ‘On-Screen Control’ which allows you to adjust monitor’s settings in a desktop application, and Screen Split for easier multi-tasking with numerous windows. At the back of the monitor, you will find an HDMI 1.4, a DisplayPort 1.2, a VGA port, and a headphones jack. The LG 24MP59G FreeSync range is 40-75Hz via both HDMI and DP. The design is simplistic with reasonably thick bezels, no VESA mount compatibility, a cable management bracket, and a tiltable screen by -5/15 degrees. The LG 24MP59G price amounts to $129.99 MSRP which makes it the best gaming monitor under $150. If you are looking for something fancier, check out our best gaming monitor under 200 USD guide where you will find some 144Hz and ultrawide models as well. In case you’re after something cheaper, the Acer SB220Q 22″ monitor features everything the LG 24MP59G has, expect 1ms MBR, for a more affordable price. A budget 24″ 1080p IPS monitor is all you need for a humble but enjoyable gaming experience. The LG 24MP59G monitor is your most cost-efficient option with premium features which is why it’s our favorite monitor for gaming on a budget. 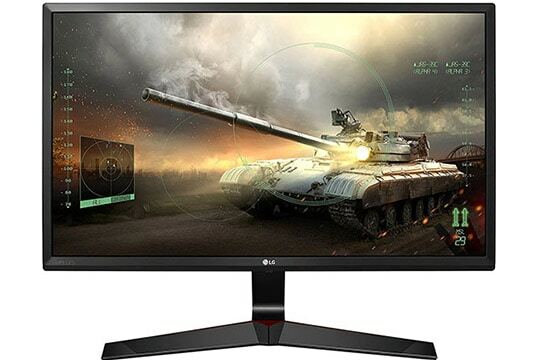 The LG 24MP59G is one of the most affordable 24" 1080p IPS monitors yet it offers a plethora of exclusive gaming features, a modern design, and a stunning image quality.